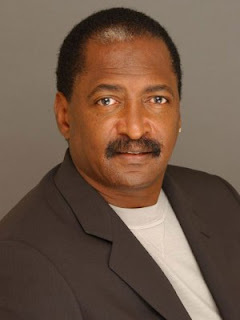 JR, The Black Entertainment Guide: Matthew Knowles honored by "Sister 2 Sister"
Matthew Knowles honored by "Sister 2 Sister"
Sister 2 Sister magazine celebrated their 22nd anniversary last night and they did it in style. Their event was filled with stars and was hosted by BET's Terrence J and "The Real Housewives of Atlanta"s Kandi. All of the heavy-hitters in black entertainment were there, including Matthew Knowles. Despite a recent drop in his popularity, Knowles has provided a lot to the entertainment world. Had it not been for him, there would have never been Destiny's Child. The girl group was insanely popular during the late 1990s and into the early 200s. It would be safe to say Beyonce and Kelly Rowland would not be in their position had it not been for the group. Because of his accomplishments in the music industry, Knowles was honored by the legendary publication. Destiny's Child has graced their pages many times and the girls, as solo acts, have also been featured multiple times in the magazine. From time-to-time, even Matthew and his ex-wife, Tina, have been featured on the pages of the long-running Sister 2 Sister. For his accomplishments, the magazine has decided to honor Matthew Knowles for the night.